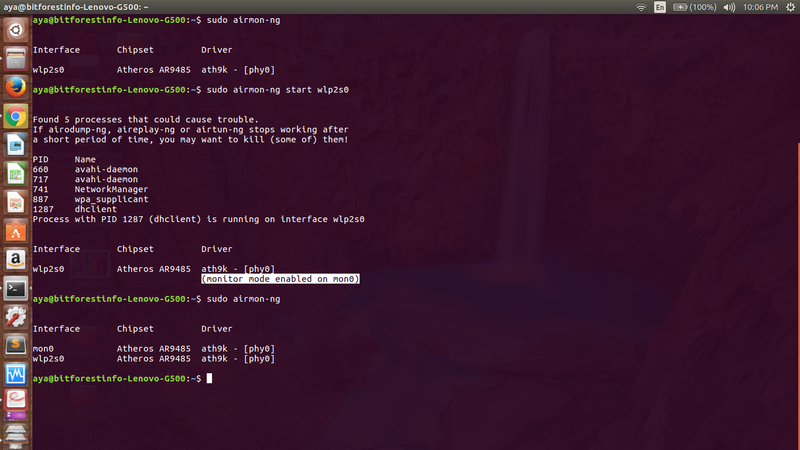 Today, I am going to show you 2 Easiest Way To Enable Monitor Mode In Ubuntu Or Linux Using Airmon-ng Suite And Iwconfig command line tool? Monitor Mode Also Known as Radio Frequency Monitor Mode, Allow Computers To Capture Various Types Of Wireless Packets Without Having Associated With Any Access Point. In Simple Words, Monitor Modes Allow Users To Monitor Wireless Traffic Available In The Range Of Wi-Fi Card. Our First Way To Enable Monitor Mode using Airmon-ng Tool. With Airmon-ng, Enabling Monitor Mode Is Very Simple. You Just Need To Follow Below Steps To Enable Monitor Mode. 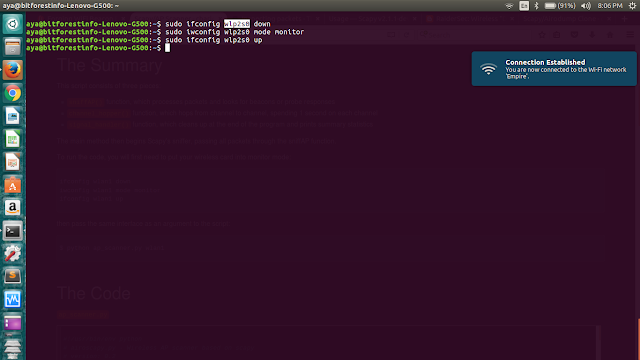 First, We Need Our Wireless Device Interface Name And For Interface Name, Type Below Command In Your Terminal. Your Can Also Check Your Monitor Mode With airmon-ng Command. Now, Let Me show You Our Second Way To Enable Monitor Mode Using iwconfig Command Line Tool But Before Our Main Steps, First Note Your Wireless Device Interface name With The Help Of Below Command. Above Command Will Show Your Devices With Interface Name And Other Information. Now, Just Follow 3 Steps Of Commands. As You Can See In Above Commands, Interface Is Representing Wireless Device Interface name.